In this second series, we explore the hard palate and its intricate movements and interplay with the cranial vault. This work assumes familiarity with Lyons Institute’s Biodynamic Craniosacral Therapy series, and teaches using a great deal more graphic presentations to familiarize the student with the movements of the hard palate. The combination of the two series gives the student an enormous “vocabulary” to converse deeply with their client’s craniosacral system, ultimately allowing for deeper witnessing and reflective skills, thus creating a more powerful ability to assist their clients on their healing journey. The course consists of individual video lessons organized into 3 modules. 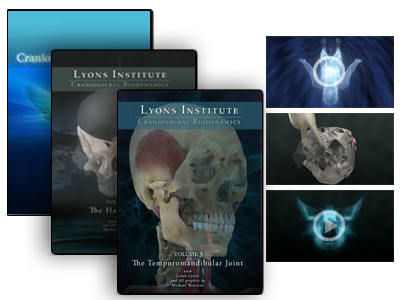 Each video uses detailed 3D models of the cranial bones to illustrate the anatomy and dynamic interactions of this complex area. This course contains a huge amount of information. You have the freedom to work at your own pace, moving on to the next concept once you have had time to practice and become familiar with the previous one. Sign up for access to the whole course or sign up for each module when you are ready. Lyons Institute is a NCBTMB approved provider for CEU credit. If you are interested in taking our Biodynamic Craniosacral: The Hard Palate course for CE credit, please contact us. We offer the Biodynamic Craniosacral: The Hard Palate in two different options. Please see the options below to determine which one best fits your needs.